If you live anywhere near Russellville, Arkansas, you’ve without a doubt heard of theCakePlace. It’s kind of a big deal in the River Valley and beyond. And for good reason! They’re serving up the most delicious (and beautiful) desserts around, including cupcakes, wedding cakes, birthday cakes, pies, cookies and cheesecakes. 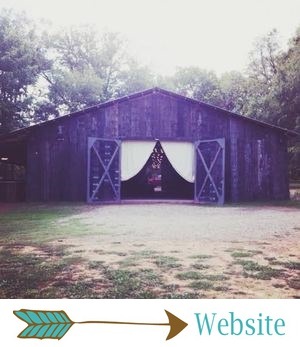 And they just so happen to be one of our very favorite vendors here at The Barn at Twin Oaks Ranch! Lauren Stinson, the owner of theCakePlace, didn’t go to culinary school or major in culinary arts, but she has always loved to bake. “There are pictures of me on my grandma’s counter at two years old rolling out cookies,” she said. She got a job at PattiCakes Bakery as a part-time baker and eventually worked herself up to a full-time wedding cake decorator. When the owner of PattiCakes decided to sell the business, she offered it to Lauren. Lauren and her mother, Cindy Jones, bought the bakery, and theCakePlace opened its doors in June of 2011. Since then, Lauren’s team has grown to include three bakers and two cake decorators. Lauren said that even though she was once a cake decorator, she rarely decorates wedding cakes these days. “That is not where my strength is; that’s where my decorator’s strength is,” she said. And just look at these cakes! Lauren and her team are some of the most talented people around. TheCakePlace makes every single gorgeous cake for our weddings, as well as all those cute shortcake bars, dessert shooters, fried pies and grooms’ cakes you’ve seen on our Facebook page and on this blog. And believe it or not, everything they make is just as tasty as it is pretty! As our former brides know, theCakePlace makes choosing the design and flavors of your wedding cake one of the most fun aspects of the wedding planning process. Every Barn bride gets to meet with Lauren for a cake consultation, in which she brings out a gazillion cupcakes, fillings and frosting for you to mix and match. It is pretty much a dream come true. The flavor combinations are endless! Lauren said the design planning process is totally different with each bride. She said some brides come in with absolutely no idea about the flavors or design they want, while others are 100% sure about the look, colors and flavors they want for their cake. Since theCakePlace has made so many beautiful cakes, Lauren had a hard time narrowing down her favorites. Her top three are Ashley and Justin’s quirky four-tiered cake, Bayley and Lucas’s simple, flower-covered, pink lace cake, and this fun black and white striped cake with red flowers. I sure love those too, but really, I think they are all beautiful! If you live in the area or you’re just passing through, you must pay Lauren and theCakePlace team a visit. They’ve got lots of cupcake flavors available every day, as well as a variety of other desserts. Try the chess cake. You can thank me later.